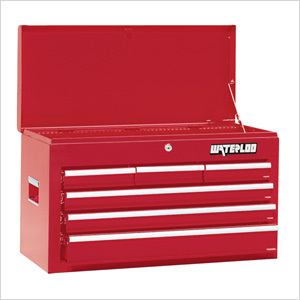 The Waterloo WCH-266RD-L 26-Inch 6-Drawer hot rod red steel tool chest is built with reinforced sidewalls and ball-bearing drawers for maximum reliability. 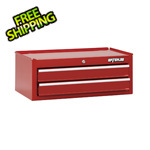 The lid rises for convenient access to sockets and drill bits. 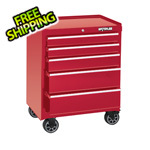 this top-of-the-line unit is fitted with recessed side handles for a comfortable grip when transporting your tools and other accessories to and from the job.